We’ve heard it once before: the road to success is long and arduous. The pursuit for quality education led to a literally long and arduous journey…destination: Jagna, Bohol, Philippines. This 4th class municipality, a half-day’s journey from Negros Occidental, is home to the revolutionary CVIF Dynamic Learning Program (DLP). A new and innovative system of learning, the CVIF-DLP was invented by two physicists, Dr. Christopher and Ma. Victoria Carpio-Bernido. The CVIF-DLP was a product of their own frustrating search for quality education for their own school, the Central Visayan Institute Foundation (CVIF). SFAS first heard of the CVIF-DLP in 2010, when the Bernido couple was awarded the Ramon Magsaysay Award for their creation. 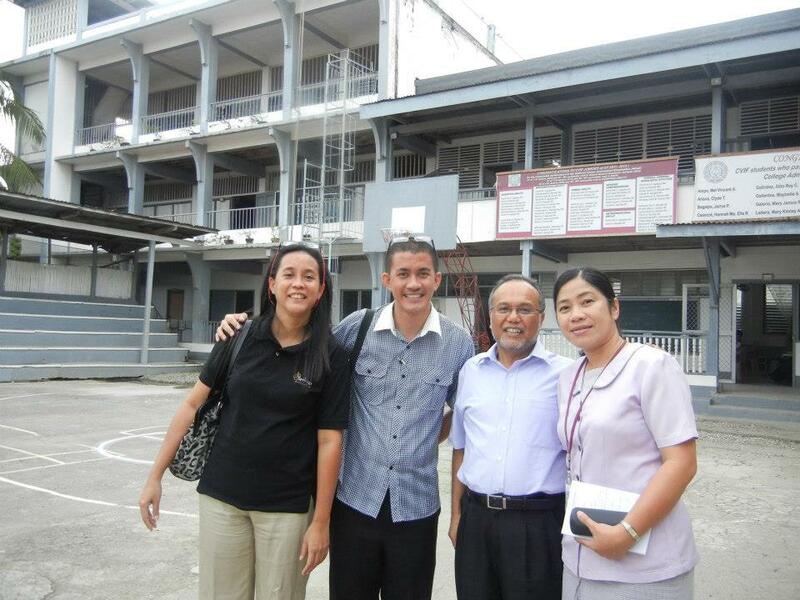 It took 3 long years before SFAS’ sibling team of administrator, Micmic Golez, school Vice Principal, JR Abello, and brother, Jay, visited Jagna, January of this year. After an orientation and actual sit-down with the Bernidos, the team was convinced—somewhat borrowing from Dr. Bernido’s message: “CVIF-DLP is the way to go” for SFAS! with CVIF administrators, Dr. Christopher and Ma. Victoria Carpio-Bernido in Jagna, Bohol. After about 12 years of implementation already, their records speak for themselves. 50% of their graduates are in the top 90th percentile of students in the Philippines (based on their performance in national standardized tests) and 10% of their graduates pass the UPCAT (University of the Philippines College Admission Test --- the most selective university in the country). More importantly, the DLP “addresses the whole spectrum of learners,” evidenced by the fact that they no longer have students performing below the average level. After an initial orientation of the teachers about the program as well as a meeting with parents, the stage was set. DLP was to be implemented in the coming school year for grades 4 – 10. 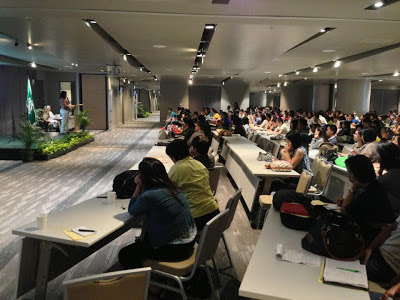 To prepare for DLP implementation, a seminar/workshop was conducted last April 18 – 19 at SFAS. Two DLP ambassadors, Mrs. Amparo Tuazon and Ms. Cherry Basa both teachers from the University of the East in Manila conducted the seminar. Parallel Classes Scheme—classes are held simultaneously with only one Expert Teacher assisted by a Facilitator. A Math teacher, for example, holds his three grade 7 classes all at the same time (at 20 minutes each only). Activity Based Multi-Domain Learning—the teacher simply gives Learning Activity Sheets to his classes to work on. There are no books; students are essentially required to take down notes. 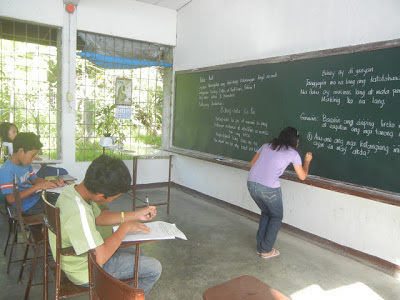 And they are given exercises to learn lessons on their own first before the teacher comes in to help. Strategic Study and Rests—probably the most controversial component of the DLP, this pertains to the no-homework policy of the program, allowing students to rest their brains after classes to enhance actual learning. And holding MAPEH classes on Wednesday morning and the students are free in the afternoon for practices, club meeting, etc. So "academic" classes are held four times a week only. The teachers undergo a simulation exercise using the Learning Activity Sheet. Ms. Lina Gabino was also sent, along with Mr. JR Abello, to a DLP Seminar in Manila last April 23 – 25. The Bernidos were key speakers throughout the seminar. The seminar also featured speakers from different schools who have already embraced the DLP. They shared their challenging experiences as well as their inspiring success stories. The 4th Workshop on the CVIF-Dynamic Learning Program was held at the De La Salle University. Putting the training to work, SFAS teachers came back in May and started redesigning their curriculum DLP-style! From simplifying lessons to adapting the “less is more” approach, teachers crafted their lesson “plans,” now known as Learning Activity Sheets (LAS). They even participated in actual DLP simulations towards the end of May, conducting their classes with select students. Ms. Nia Mae Ramirez is facilitator for Filipino Grade 7 class. With such a dramatic change, thanks to DLP, SFAS is in for long and arduous journey this year! But all the stakeholders—administrators, teachers, students, parents, others—hope this journey takes us to a common goal: success…finally, quality education that will mold our children to be responsible, honest and excellent citizens as they are our future leaders!